Still tired of Church?? Try Tribes! 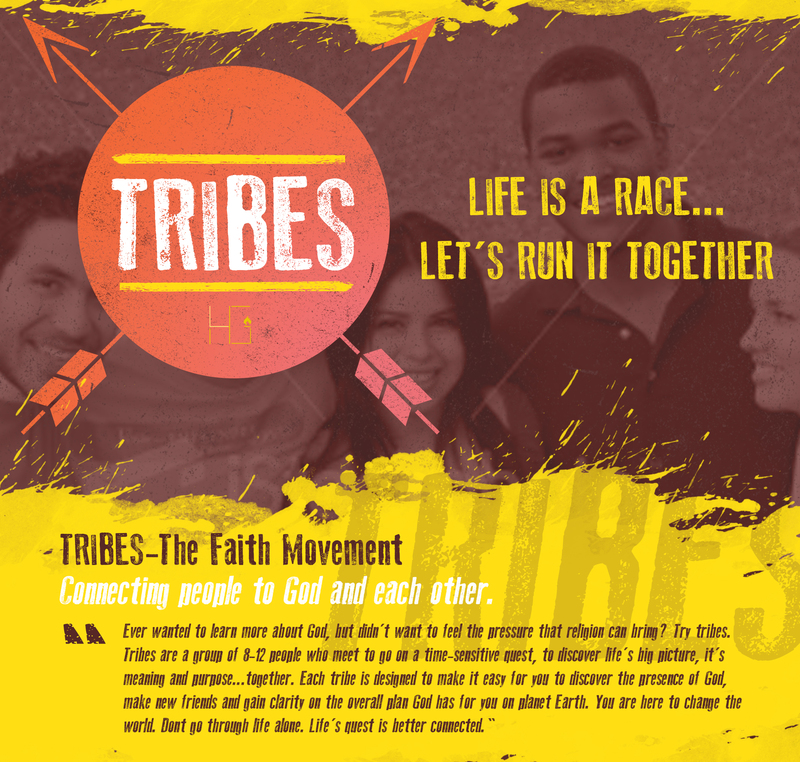 I told you all before about the project I was launching with my Church family called Tribes. Tribes are a missional community idea where groups of no more than 12 people meet in venues outside of a church in order to connect people to God and to one another. We have recently concluded our first cycle and the testimonies have come pouring in. Ordinary believers with no ministry experience were able to baptize a handful of people into Christ, lead friends into a saving encounter with Christ and even see bodies healed in the name of Jesus! We brought the “Church in the Wild” and people are hungry for “the more” of God. We are gearing up for our 2nd cycle beginning June 3rd-August 18th. JOIN or HOST ONE TODAY and grow deeper in your relationship with God. Those who are leading are excited about how God used them and are looking forward to seeing more of Heaven fill their streets. All of our tribes are currently in NYC but we are looking to expand our reach throughout the U.S. and even internationally. One of our previous leaders are aiming to set up a Tribe in Haiti! Thanks that180dude! Casting the nets, pulling souls in! GO FISH!